Being a devout Windows Home Server fan for many years, it has always been tough for me to find a substitute for it. I have tried numerous NAS units and have always been left extremely disappointed. Since my recent move, I have found myself reviewing my storage needs as well as my overall strategy for physical space. This change has sent me on search for a worthy replacement to windows home server, or at least one I can live with. Don’t get me wrong, if I had extra room or a dedicated place with proper cooling to put all my hardware, I would not even consider a NAS as a primary storage device. I would love to keep my collection of servers but the majority of my server hardware is in my office and the balance in a closet so cooling is becoming an issue. And most of all it had to be fast so that I could stream my native Blu-ray content to at least 4 clients at the same time. For daily file use, I did not want to see sub 90-100 MB/s transfer speeds on large files and it had to handle multiple requests without choking. I wanted to keep a reasonable price point of around $500 or less (without drives). It is real easy to get a fast NAS if you are willing to spend $1200-1500. 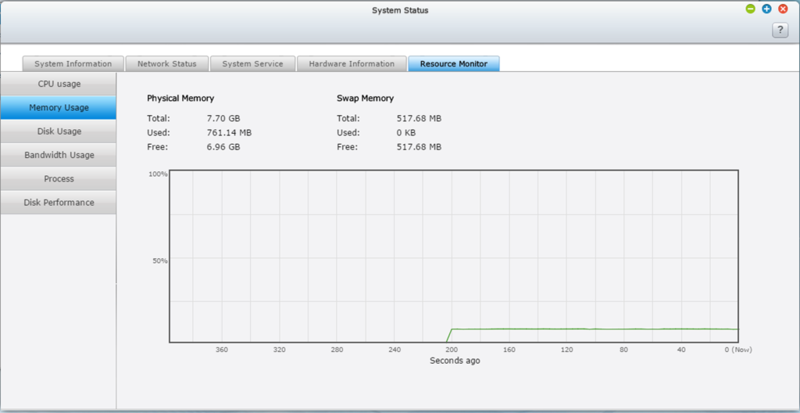 To put in perspective, I am trying to replace an I5-4570S that has 8 gigs of RAM and 12 Terabytes of space in a RAID 5. I am accustomed to speed and I do not want to comprise too much. Finding something smaller, quieter that draws less power with the same storage and good performance is tough. After researching the various options, I decided to buy the QNAP TS-451. Having had a Synology before, I really did not want another one. I had found the configuration options poorly laid out and confusing, and the performance was less than stellar in this price range. Granted I had a lower end model, but even their higher end version uses the same software and I was just not that impressed. I thought about the Drobo but again the features and performance was less that what I wanted, it is a good unit for supplemental storage but not as a primary storage source. The feature list on the QNAP seemed impressive and the layout of the tools, software and apps seemed intuitive enough, but the real clincher was whether or not it was going to have the performance. This particular series uses the dual core Intel Bay Trail Celeron which really intrigued me with hopes of better performance. Before I bought the unit, I read that the base configuration of 1 Gig was a bit slow however according to reviews, performance was significantly improved with a memory upgrade. I thought about buying it with the 4 gig configuration however the price premium they charge was a bit steep. Instead, I opted to perform the upgrade myself as this is one of the few units that allow end user upgrades, though the process itself is a bit complex. Instead of the 4 gig I opted to max it out with the 8 gig as memory is fairly cheap and I planned to experiment with its ability to do VMs and run other background tasks so I figured the extra memory would come in handy. As you can see from the benchmarks below of just file transfer, the speed difference is huge. Transfer speeds after the 8 gig upgrade. The Change was pretty amazing. Who would have thought that you could run Windows 10 on a NAS unit? Not sure how useful this is but it sure is cool. The performance was a tad slow for my taste but it did run acceptably when I dedicated 2 cores and at least 2 gigs of RAM to the VM. I will experiment some more but the overall usefulness of running a heavy weight OS on a NAS is a bit questionable due to limited performance but for light to occasional use, testing, or maybe a special purpose app that only runs on Windows 7 it will do the trick. Again, please keep in mind that my point of reference is a dedicated VM server with much more power. Now this is a step in the right direction. I am a heavy Plex user and I am totally reliant on it when I am away from the house, and even when I am at home for use on my laptop and mobile devices. The fact it can support this and do it well is a big plus as it saves me from finding alternate solutions. This is where things get interesting as this is definitely one of my requirements. Backing up to an external drive or alternate server is good, but I need an offsite copy out in the cloud that I can rely on for critical data. 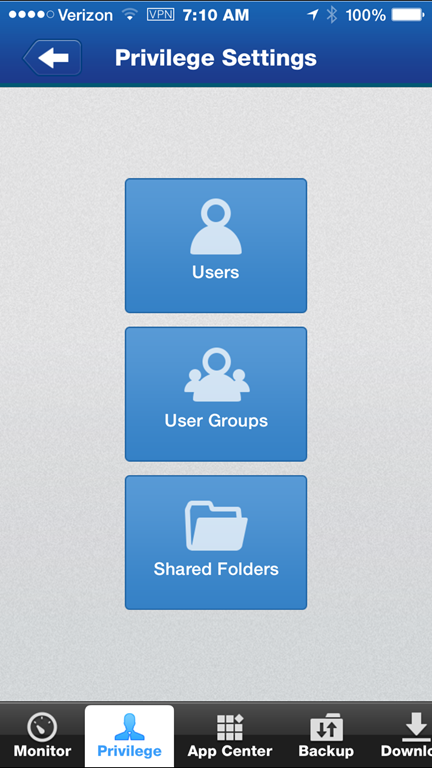 The available S3 Plus app for Amazon S3 works really well and is pretty straightforward to setup. Once you get it, it works great and is for the most part is very flexible. It was every bit as good as the Cloudberry app that I was using on Server Essentials for my needs. The Crashplan app is available from their store but is so far, the only app (excluding the web developer stuff) that forced me to install Java. 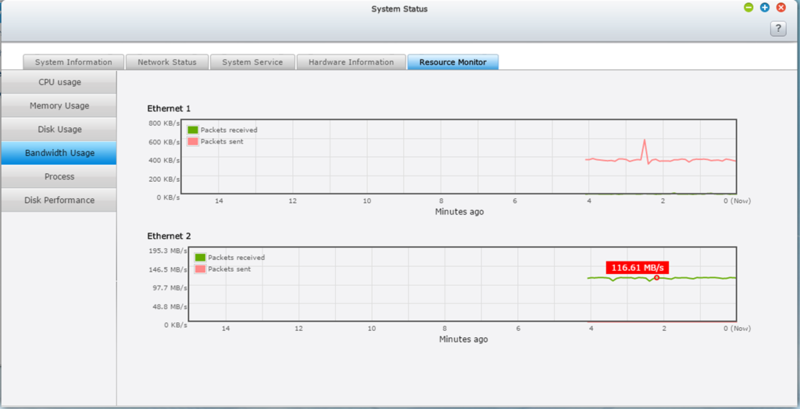 In addition, I could not get it to launch correctly so I gave up with my plan of running two cloud services on one box. I will leave Crashplan on my storage/media server for now which is actually a better approach anyhow. This is probably one of the nicest photo apps I have seen on a device. It is extremely fast and once you get through a short learning curve. It is extremely powerful and has some very well implemented tools for creating albums . The app can be setup for specific users but also has the flexibility to handle guest accounts should you want that capability. The surveillance station is also well done. No surveillance software is easy or perfect but this is amongst the best I have seen. It covers all the basic needs you have and has some really nice features. The catch is the pricing. You get 2 free licenses with the unit but extra licenses are $59.99 each with almost no discount for buying multiples. If I chose to use this, it will cost me an additional $300 for licenses, OUCH! Translated this means it is cheaper for me buy a Windows license, add a VM on my NAS then run recording software such as iSpy (which is free) on it. Though I really like the software and will use my two free licenses, they really have priced themselves out of my expansion at least for now. Had the price been $20-25 I would not have any issue and would instantly switch to it just for the convenience of having everything on one unit. Talk about the kitchen sink approach to devices. 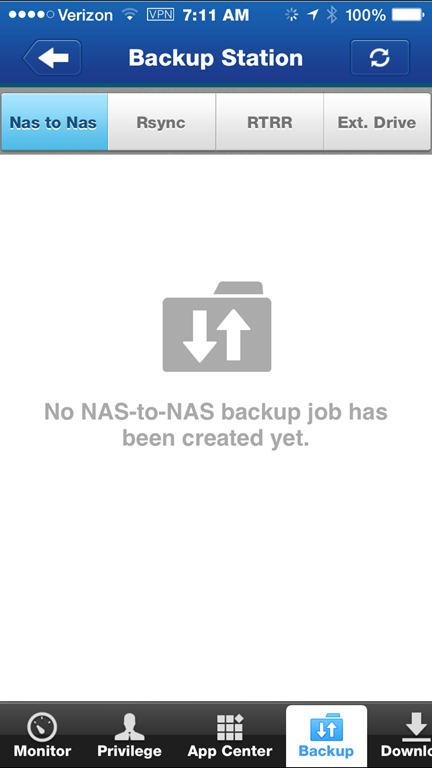 As a devout fan and daily user of OpenVPN in my everyday life, the fact that this is included in your NAS is awesome. It is not quite as easy to setup as the version that is on Untangle but the fact it is on there and you can set it up at all makes it a real bonus. If you are not using OpenVPN or some other VPN already then you should be. 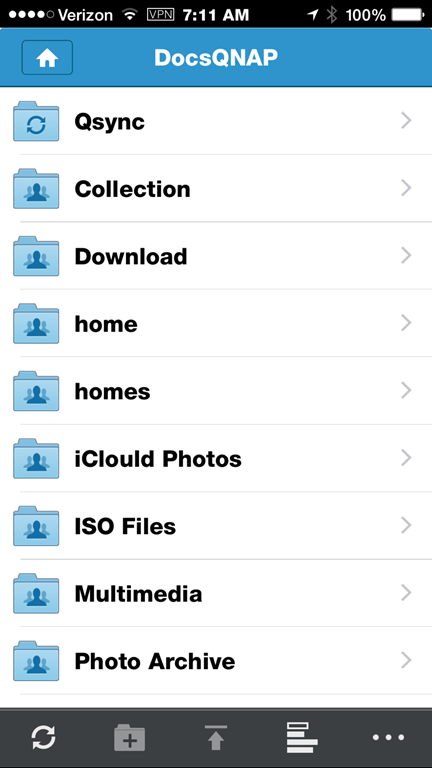 QSync is very similar to DropBox but in some ways better. Mostly because it supports up to 5 users and is unlimited in size as it stores your information on your QNAP. I know there is much debate on cloud vs. on premise, however with QSync you get a nice blend of both. If you get creative, you can assign you local folder to be your DropBox, Google Drive, or other cloud folder and cover all your bases. You will however be limited in that case to what your cloud storage is. For my use case, keeping it local is fine as I can get to it from anywhere. This can a bit confusing at first, but once you figure out what they are trying to tell you, it offers you’re a rich set of tools that provide connectivity. One of those tools is CloudLink which allows you to use your mobile apps or web browser and connect to your server without creating a bunch of port forwards (like the Synology). It is a beta product of sorts which acts a connector from your mobile apps or laptop to your server. My short experience with it seem to work pretty well however I ended up not using it in favor of using OpenVPN. Using OpenVPN provides me with the same results and since I use OpenVPN of every platform, it provides me with a consistent and secure method for everything I do. They have a full suite of mobile apps to compliment the device. I was impressed with a couple of them such as the Photo app, however the way they hook up is a bit inconsistent. Some work really well with CloudLink and others I had to convince in to working by some manual settings mostly due to my network/router configuration. They work great if you run UpNp or have a standard port configuration, but for us who prefer security over ease, you have to be prepared to play to get it them to work. Also keep in mind they are being updated to better use the features of their new CloudLink so I am sure this will improve of the next couple of releases. For my use. I ended up leaving them using the local settings and use OpenVPN to easily access the content much the way I access everything else without the need to port forward or use their ClouldLink service. The apps themselves are well designed and very functional. 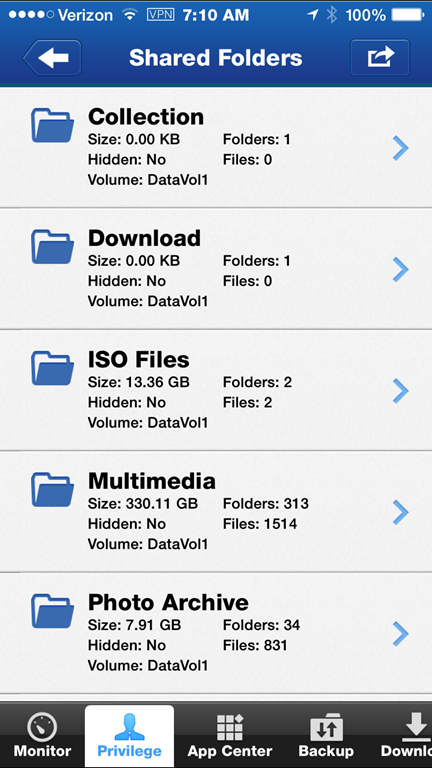 I was especially impressed with the QPhoto, QSync, QFile, and QManager apps. Performance is the one area that I was not going to compromise in. In the background section you saw the difference it made when I upgraded the RAM but that is only part of the story. The QNAP keep up with everything I threw at it. Using AlwaySync I synced up over 5 Terabytes of movies and measured the bandwidth. 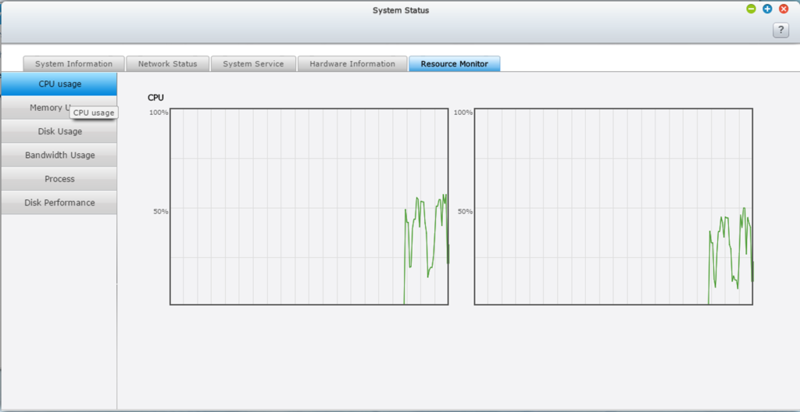 Despite doing other things on the device, it never dropped below 100 Mb/s. The architecture of this NAS is far more powerful that the ARM units that I have tested in the past especially when multi-tasking. This is the way a NAS should perform. So let’s start with the burning question, is it as good as or better than a dedicated server? Well, no, but it is really close. Close enough that I will be making the change. It has adequate power to handle the streaming workload in my house (though if you rely on transcoding, your mileage will vary) and it was able to stream 4 Blu-Ray native streams without a hiccup which is important to me as I have 6 TVs, 2 dedicated HTPC’s and a variety of desktop boxes that pull media (see my network layout for additional information). To be safe and since I will be keeping my VM server for now, I will continue to use that as the main device for transcoding on the file fly just to conserve the power of the QNAP for everything else. File serving was very fast so opening and saving large files was not significantly slower than it was on my dedicated server. I do need to mention that I am using this with both NIC cards plugged into my switch which adds a bit of performance by automatically switching to the first available. I did not do any configuration other than addition the second cable. This configuration showed some improvements when you copying large files and still trying to access it with other systems. I do have some complaints about the unit and it is not perfect. First, the construction looks cheap. Not really a problem but with the plastic trays and outside construction it certainly is not industrial. The other issue is more generic in that there is a learning curve. 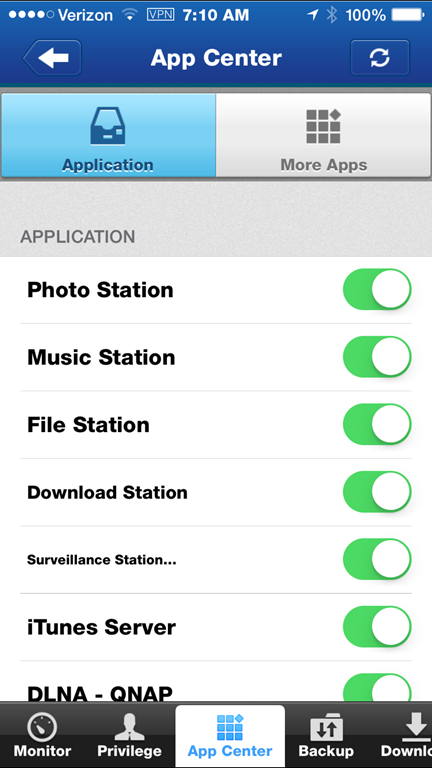 The interactivity of the individual apps is not always clear occasionally requiring settings be changed in other modules. Not nearly as bad as the Synology but be prepared to spend a bit of time tweaking it the way you want. If you are like me and used to the Microsoft way of doing things, it will take you a little learning, but overall it is the best unit I have seen and used for the sub $500 range. Despite my high standards for performance, I am impressed with this unit and it will not disappoint you in that arena. The switch to the Intel chips was a smart move bringing NAS units to a new level in terms of flexibility and performance. If you are looking for a second source for your data or to replace an aging server, or if you are like me and want to simplify, take a look at the TS-451 to see if it will meet you needs. In the end it looks anemic next to my old server but despite looking like a 10 lb weakling, it performs great and I really like the unit. It does everything I need to do and more so I will keep it as my main storage unit and offload the CPU intensive tasks to the remaining server.